Every country around the world is looking for and bending toward organic or green energy for the advancement and sustainability of industrialization and civilization as a whole. India, too, does not lag behind. Today renewable energy is a thriving industry of billions of dollars globally. 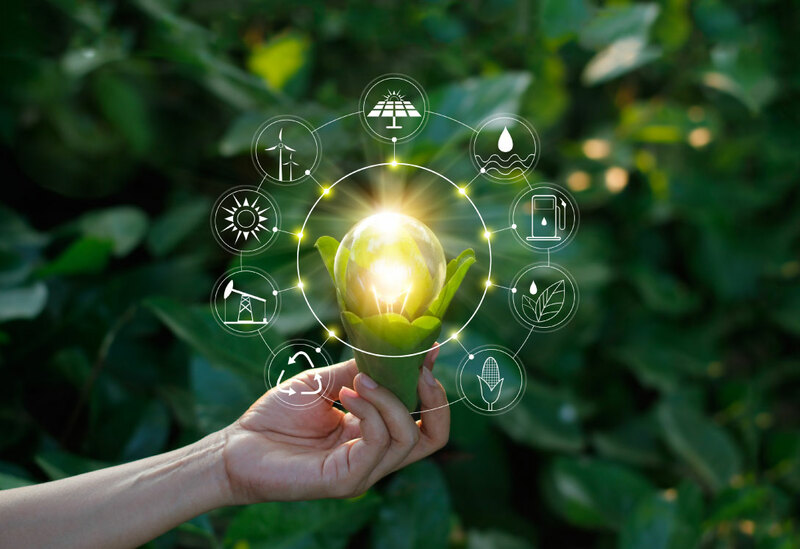 According to the Department of Industrial Policy and Promotion, in India, about US$ 42 billion has already been invested in the renewable energy sector since 2014. The diverse climatic conditions in India come in handy to harness energy from different natural sources; may that be the wind, water or the sun. Hydropower is one of the oldest renewable energy has been converted to electricity for both residential and industrial use. Because of the presence of numerous rivers with abundant capacity, churning out electricity from them has not been such a big deal. There are 7 major rivers in India along with its multiple tributaries and five biggest dams. Adding them all up creates a hydropower capacity of 148,701 MW making India the seventh largest producer of hydroelectric power in the world. Although, according to the International Hydropower Association, it is estimated that 660,000 TWh of potential annual hydropower is still untapped in India. The newest arena in which India has set foot and excelled incredibly in just about four years is in the solar power industry. On an average, India experiences 300 sunny days around the year making it capable of producing 5000 trillion kWh of solar energy a year. According to the report published by Mercom Communications India, India was ranked as the third largest solar power market in the world in 2017 with a CAGR growth of 170 percent since 2010. The country created a record of installing 9.6 GW of solar capacity in 2017 alone. This spiked its overall renewable power to 19.6 GW by the end of last year. India witnessed the solar power capacity of 23 GW by June 2018. Along with the establishment of extensive on-grid photo-voltaic farms, India is also striving to develop off-grid solar power. By the end of 2015, more than one million solar home lighting systems, solar cookers, and solar street lights were installed. Kurnool Ultra Mega Solar Park: Spread across almost 6 acres of land, the Kurnool Ultra Mega Solar Park in Andhra Pradesh is the largest solar park in India with a capacity of 1000MW. Kamuthi Solar Power Project: With a capacity of 648 MW the Kamuthi Solar Power Project in Tamil Nadu is the second largest solar park in the world. With a capacity of 34.293 GW of wind power, India ranks as the fourth largest installed wind power capacity in the world. The harnessing of wind energy can be found predominantly in the southern and western parts of India. Wind power makes about 10 percent of India’s gross green energy generation. In the fiscal year of 2017-18 itself, the country generated 52.67 TWh of wind energy. Out of the nine states in India, Tamil Nadu has the highest production of wind power. The Muppandal Wind Farm is the largest wind farm in India which is located in Tamil Nadu and has a capacity of 1500MW wind energy. Apart from on-shore wind power, India has also aimed for establishing a 30GW offshore wind industry by 2030. Offshore wind farms are actually windmills that are installed on the seabed that has the capacity to produce far more energy than that of onshore wind power. Moreover, offshore wind farms also have the prospect to save land areas. India is estimated to have the potential of 127 GW of offshore wind power near the coasts of Tamil Nadu, Gujarat, and Maharashtra. The first offshore wind energy project of 1000MW capacity is located at the Gulf of Khambhat near Gujarat. The Ministry of New and Renewable Energy (MNRE) is recently planning to install a 5GW offshore wind capacity by 2022. With each passing year, India is developing into an important green energy producing nation along with the prospect of becoming the largest market for renewable energy surpassing the two giants of China and the U.S.